James Milner made his Premier League debut in 2002, but 17 years later, he’s still got the same hunger and desire to win that he had on debut. 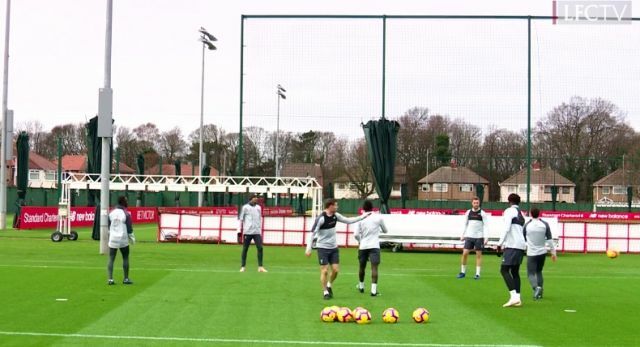 A clip has emerged of Liverpool’s recent training session, in which Milner tells Andy Robertson off for giving the ball away during a rondo session! ‘Why have you stopped moving?! That’s your fault, that is!’ says Milner to his friend and team-mate. Watch the moment at just after 4 MINUTES here! We’re sure this kind of stuff happens every single day at training, but it’s still quite cool to see – especially when it shows the dedication one of our players has to perfection. Milner is 33-years-old now, but still has a vital role to play for Liverpool due to his incredible natural fitness and the manner in which he’s looked after himself throughout his career. He’s suspended for the Leicester clash on Wednesday after picking up a red card v Crystal Palace, but could be drafted back in at right-back against West Ham if Trent Alexander-Arnold remains unavailable.